HHS Secretary Kathleen Sebelius announced May 28th, 2013 that more than half of all doctors and eligible providers have received Medicare or Medicaid incentive payments for adopting or meaningfully using electronic health records (EHRs). Not that long ago (2008), according to the Centers for Disease Control and Prevention, the percentage of physicians using an advanced EHR systems was just 17%. Wow 17%! Today physicians are over 50% and hospitals have moved from only 8% in 2008 to more than 80% having demonstrated meaningful use of EHRs. The administration and the industry believe that the adoption of EHRs is critical to the broader healthcare improvement efforts that have started as a result of the Affordable Care Act. These efforts are designed to improve care coordination, reduce duplicate tests and procedures, and reward hospitals for keeping patients healthier. Information also means transparency. How safe is your hospital? You can now check their rating online at Hospital Safety Score. Want to compare a few hospitals in your vicinity? Try this site, Medicare Hospital Compare. Currently you can pick 2 hospitals and some basic information will result in comparing hospitals in a city or zip code, facts like if they provide emergency service, if they are able to receive lab results electronically, and the ability to track patients’ lab results, tests and referrals electronically between visits. But it is not just hospitals, it is nursing homes, physicians, home health providers, etc.. the public will be getting more and more access to information about their providers. Do you want to see how your hospital ranks for both readmission ratings and mortality? Try this web site Health Insights, where you can also see heart failure performance ratings, pneumonia rates and then their national scores as well as HCAHPS rate. What else is happening? When information was in disparate systems or hard copy, it was really just files and not truly actionable information. The healthcare industry tended to be data rich but information poor. Now Big Data is enabling more ambitious medical research as well as ways to improve patient satisfaction, a driver in the healthcare industry’s revenue stream. UT Southwestern in Texas is establishing a new department of bioinformatics to try to maximize the impact on biomedical research. Here ‘what if’ questions can be researched. While on the profit side of the equation, Baylor Health Care System has analyzed patient satisfaction scores and nursing staff, hospital by hospital, and learned that more full-time nurses versus temporary or parttime, led to higher patient satisfaction scores. Next on their list, according to The Dallas Morning News, is looking at patient outcomes doctor by doctor, surgeon by surgeon to determine best clinical approaches, different manufacturers’ artificial joints, the list is endless. Now that is the patient and revenue side.. what about the building infrastructure? It is the future of healthcare infrastructure, less expensive to install and more efficient over the life cycle of the facility, the hospital most facility operators dream of, and now it is a reality. 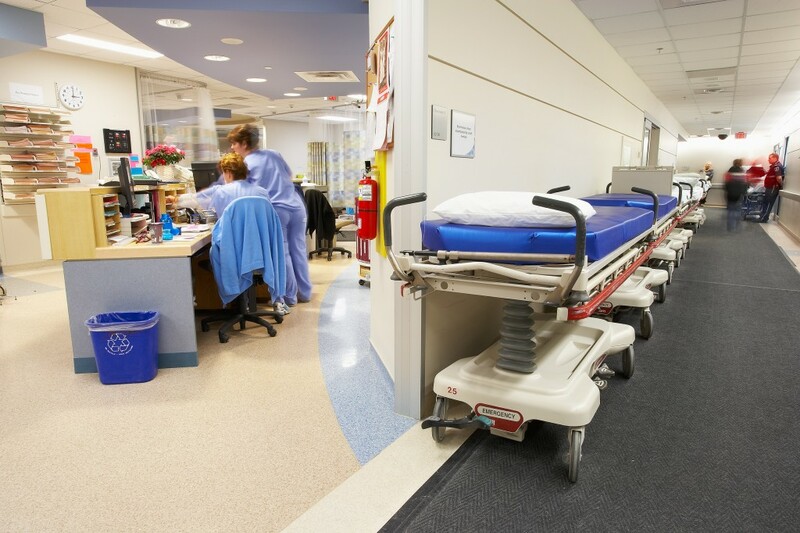 Amazing how data can help a hospital to operate more smoothly! Cant wait to see what the future will hold!